Count Kaley Cuoco and Johnny Galecki among the entertainment-industry notables paying tribute to Stan Lee on Monday. Cuoco, star of CBS’s geek-centric sitcom “The Big Bang Theory,” offered her heartfelt thoughts on Lee via Instagram on Monday, following news that the comic-book legend had died at age 95. Cuoco’s “Big Bang Theory” co-star Galecki, meanwhile, paid his own tribute, posting a photo of the “Big Bang Theory” cast surrounding Lee, with Cuoco planting a kiss on Lee’s cheek. Lee guest-starred on the 2010 “Big Bang Theory” episode “The Excelsior Acquisition,” appearing as himself. 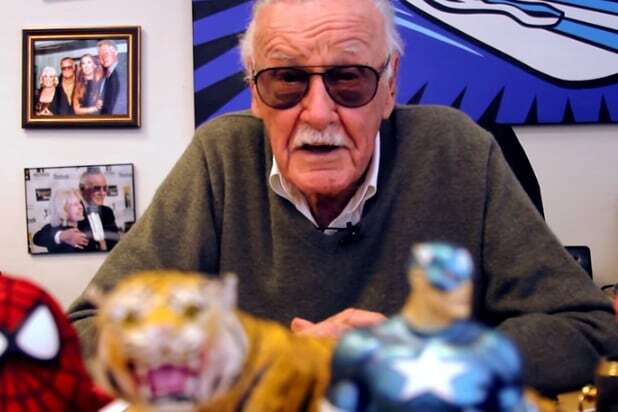 “Stan Lee was as extraordinary as the characters he created. A super hero in his own right to Marvel fans around the world, Stan had the power to inspire, to entertain, and to connect. The scale of his imagination was only exceeded by the size of his heart,” Iger said in a statement. See Cuoco and Galecki’s Stan Lee tributes below. Iam so sad to hear that @therealstanlee has passed away! ???? He left his magnificent stamp on our show @bigbangtheory_cbs in so many ways and we are eternally grateful .. I adored his visits, hugs and fantastic stories . He was an epic superhero and I will never forget him!! #stanlee ??’? excelsior! !